Ensuring the sterility of critical medical instruments is a topic near and dear to anyone responsible for patient safety. To help increase awareness of important information about the Path to Sterile Endoscopy, Cogentix Medical is sponsoring a webinar series. The webinar series is presented by Judy Bringhurst, Infection Preventionist and Safety Officer for the University of North Carolina Hospitals in Chapel Hill, North Carolina. The second session in the series was, “The Current State of Sterilization and How to Achieve Sterile Endoscopy Today” and focused on the future impact of defining flexible endoscopes as critical devices within the Spaulding Classification, margins of safety for sterilization compared to high level disinfection, potential challenges in implementing sterilization technologies as the standard in instrument reprocessing and the role of single-use microbial barriers in sterile endoscopy. The following are some highlights from the webinar. Bringhurst notes that, depending on its use, the same device may be classified differently. To help illustrate this point, she has a standard analogy about scissors she likes to use. “Let’s say I've broken my arm. I'm going to go in to get the cast off today … they can take those scissors out of that cup that's on the sink in the cast room, and they can wipe those scissors off with a disinfectant wipe, and they can cut that wrapping off my arm.” Since the skin is intact, the scissors in this situation count as a non-critical device. 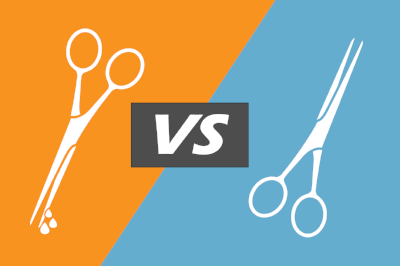 In contrast, Bringhurst notes, “I can also have a pair of scissors in an OR where there’s an open abdomen, and the scissors are being used for cutting adhesions.” Because scissors in the OR are in contact with normally sterile tissue, they are considered a critical device. In the middle are semi-critical medical devices that come in contact with mucus membrane or non-intact skin. “So, the point is that it really doesn't matter what the device is, it matters how it's used,” Bringhurst summarizes. The intended use directs cleaning requirements. Noncritical devices require low level disinfection. Critical devices require sterilization. Semi-critical devices require high level disinfection. The question is if high-level disinfection is sufficient for devices like endoscopes, ENT scopes and intracavitary probes which are classified as semi-critical. There are two standard ways to measure sterility: by the probability that organisms remain on the device and by the percentage of organism killed off in the sterilization process. Probability. The Sterility Assurance Level (SAL) gives a probability that organisms have survived on a device after undergoing a sterilization process. An effective sterilization process results in a very low SAL; that is, an extremely low likelihood that any infectious microbes survived the sterilization process. A SAL level of 10-6 — that is, a 1 in 1,000,000 chance that an infectious organism has survived — is what the FDA requires for devices to be labeled sterile. Percentage. Whereas SAL measures the probability that organisms will survive the sterilization process, log reduction measures the percentage of live microbes killed off after sterilization or high-level disinfection. One log reduction is a 90% decrease in the probability of live microbes. So, while you might think that a six log reduction is excellent, it still doesn’t offer the same level of safety as SAL 10-6, “You're going to wind up with a percentage of 99.999%, but that is not completely sterile,” Bringhurst explains. “We can still have millions of microorganisms left with that very high percentage of a log reduction.” A 17-log reduction is required for a device to be truly sterilized. In an ideal world, reprocessing practices would be excessive, and every device used in a hospital or healthcare setting would be fully sterilized to a SAL level of 10-6 or a 17-log reduction. Of course, cost, time, training, staffing needs and practicality prevent this which is why the Spaulding Classification is helpful to determine the degree of sterilization that is needed. On the other hand, some researchers feel that where the lines are drawn in the Spaulding Classification may not always be what is in the patient's best interest. One instance of this is when researchers in the Journal of the American Medical Association called to move endoscope reprocessing from high level disinfection to sterilization by 2018. This recommendation was largely based on the high level of safety that comes with proper sterilization and a number of complications associated with endoscopes and HLD reprocessing. This could also modify the Spaulding Classification to include objects that directly or secondarily (e.g., endoscopes) enter normally sterile tissue. While sterilizing endoscopes would help prevent infections and cross-contamination, it will also create new challenges. Training staff in reprocessing procedures, the capital purchases needed to effectively sterilize instruments and an auditing process to ensure proper sterilization are just some of the additional burdens healthcare facilities will have to take on to ensure the safety of their patients. The EndoSheath Protective Barrier provides a sterile, single-use antimicrobial barrier that can help on the path to sterile endoscopy.